Thank you for visiting Spellbound Tours, Salem’s original and best haunted tour. For over fifteen years our guests have enjoyed our guided tours of Salem’s most haunted sites! At Spellbound Tours we are committed to providing an authentic and entertaining paranormal experience. We are fully licensed by the city of Salem, and take pride in being historically accurate as well as truly frightening. This tour has been the longest running in Salem and is widely regarded as Salems best tour when it comes to the paranormal. At Spellbound all of our tour guides and staff are professional paranormal investigators who will not only tell you the ghostly stories, but teach you about modern paranormal investigation and how to capture ghostly images with your own camera! We show you documented photographs of various ghostly energy forms such as orbs, ectoplasm, and apparitions. Spellbound Tours is serious about ghost hunting and investigating claims of paranormal phenomena. On the Spellbound Voodoo, Vampires, and Ghosts Tour you will learn the secret history of what really happened during the infamous Salem Witch Trials, discover startling information about true New England vampirism, and be amazed by tales of real, documented paranormal activity! 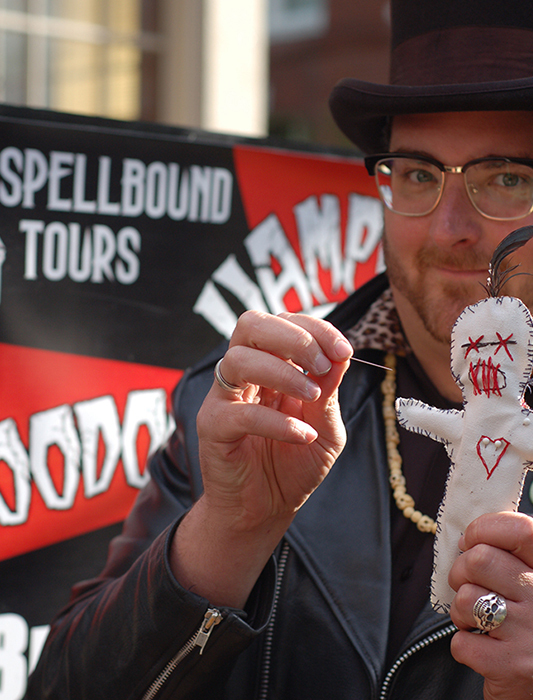 Spellbound’s Voodoo, Vampires, and Ghosts Tour delves into the dark corners of Salem’s history, even exposing the hidden Voodoo roots of the famous Witch Hysteria.Every site we visit is a proven haunted location, and many of our guests have reported having true supernatural experiences on the tour! 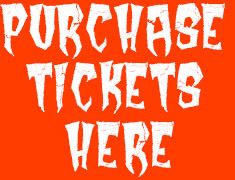 Order tickets now to secure your spot on Salem’s number one haunted experience!